Specializing in Public Entities & Scholastics niche. McGowan Governmental Underwriters (MGU) is a leading insurance agency specializing in public entities and public scholastic niche. MGU provides our clients with exceptional insurance service, unparalleled coverage and superior pricing. MGU was formed in 2013 with the partnering with Trident, a registered service mark of Argo Group international Holdings, Ltd., to bring you an exclusive Public Entity insurance program. This product will be initially available in Ohio and Pennsylvania. MGU will also offer our current Umbrella product for Public Entities Nationwide. 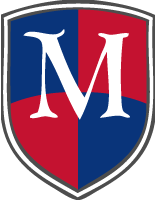 MGU is one of The McGowan Companies (TMC); a family-controlled, conglomerate of insurance and financial service companies.